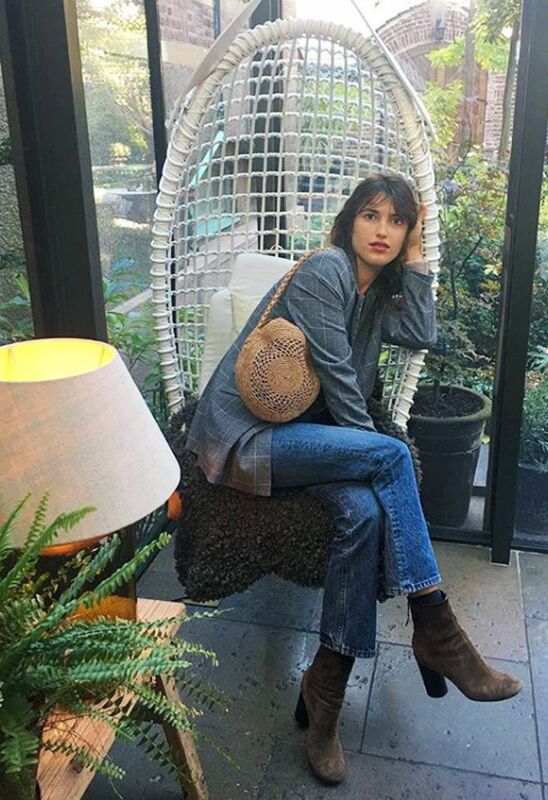 When Jeanne Damas came into our office last month wearing a pair of brown suede heeled ankle boots, they instantly became the shoes that everyone in our office wanted. I was so into brown boots that I bought two very similar pairs from the French label Sézane. As you might have worked out by now, brown suede ankle boots are a Parisian go-to and are the French equivalent of black flat Chelsea boots. Brown is traditionally seen as a very tricky colour to wear. However the "awkward" colour is one of the key shades for the season, and brown-on-brown styling has been embraced by the Instagram set. Whether you're looking for classic heeled brown boots just like Jeanne's or something a little more out of the ordinary, we have trawled the internet to find you the best brown boots out there. And be warned: You might end up buying more than one pair just like me. Keep scrolling to shop our edit of the best brown ankle boots around. Jeanne Damas's boots that started our obsession. These are the perfect everyday boots. This darker shade is a more durable option. We love the higher heel. This rusty brown has been a surprising key colour for this season. Update your classic Chelsea boots in brown. Next up, see the best ankle boots to wear now.